One of the best gelato I've ever tasted. 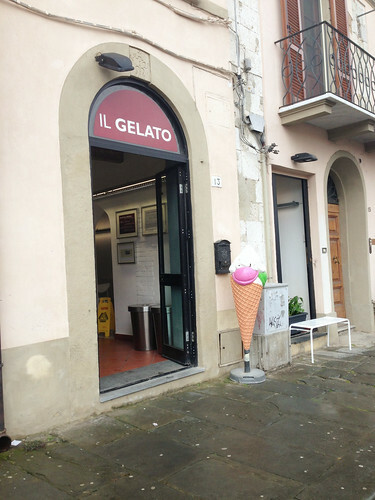 I visited this gelateria twice, I had some pistachio and dark chocolate. 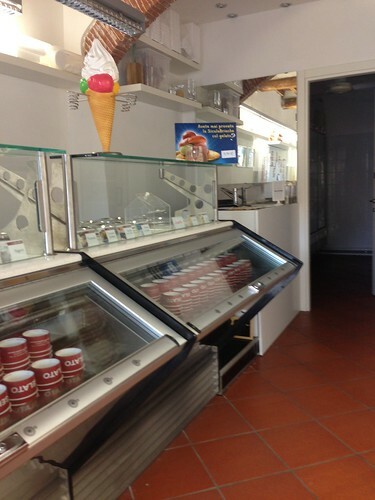 This is an authentic gelateria, it is not the one that sold in a display freezer but in metal tubs called ponzzetti. They are famous because they only use fresh ingredients from Tuscany. 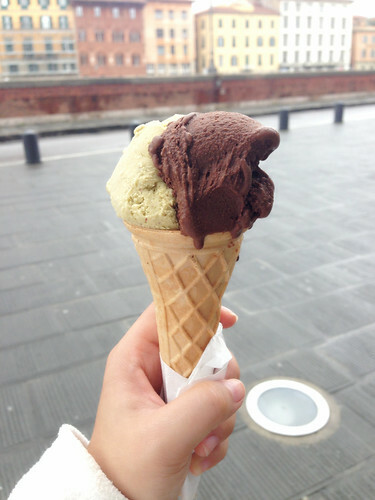 It's one of the best gelato in Pisa, but it's not crowded which I like. The location is not on a path that usually pass by tourist, even it's actually in the center of the city, there were no one when I visited this gelateria. From Pisa Centrale walk straight to Corso Italia until the end of the road there will be a bridge (Ponte di Mezzo). Do not cross the bridge but turn left follow the street, the gelateria is on the left and the river should be on your right. Corso Italia is a shopping street, most of visitors get through this street to get to the Leaning Tower.